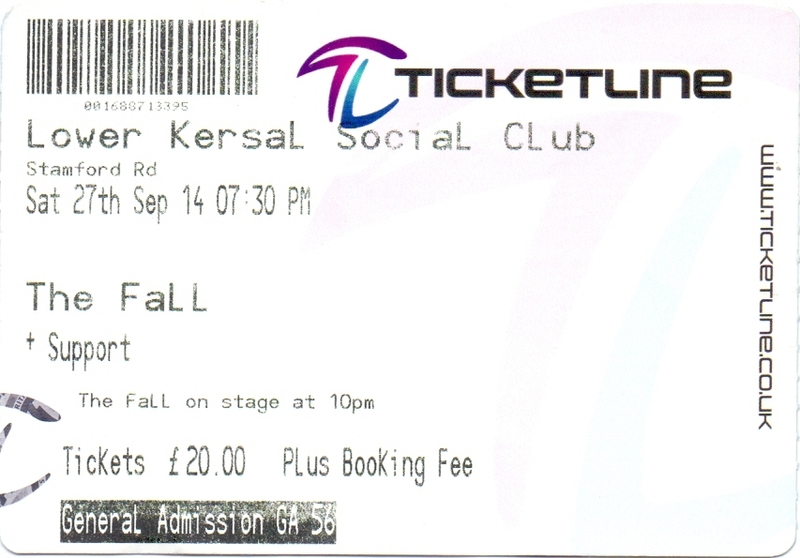 Gig ticket - I have experienced the Fall live around 50+ times...and this was by far the worst over-all gig...terrible venue..cheap sounding PA, undrinkable beer and v.poor support acts. Ha! Brilliant. But you kept going back for more, eh?